Listed provider of multi-asset trading products INTL FCStone reported strong operating results in its quarterly and annual metrics. The firm saw a rise across its business divisions. The firm’s net income was up on a quarterly level, reaching $5.8 million, significantly higher than 2013 figures. Net income was flat year to date on a year-on-year basis as it surpassed 19 million US dollars. The 90-year-old brokerage firm saw record figures during the quarter. Its global payments division saw both quarterly and annual growth, with 50% and 35% increases respectively. INTL FCStone is a strong player in the FX prime brokerage space, the firm connects to a number of platforms and offers leverage in margin FX instruments. The firm reported its three-month FX volumes for the US. During the quarter, it traded $61 billion, averaging one billion US dollars in daily trading figures, a 15% drop from 2013 figures where the provider saw quarterly total volume exceed 71 billion dollars. 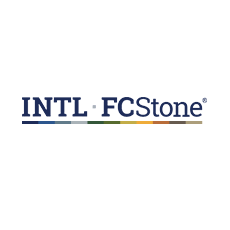 Sean M. O’Connor, CEO of INTL FCStone, commented about the results in a statement: “We continued to see steadily improving conditions over the last year for our overall business. We realized record operating revenues, up 17% for the quarter versus a year ago and up 5% for the year. Despite cost pressures, we managed to hold overall expenses to a 10% increase for the quarter and 3% for the year overall. “This resulted in our income from continuing operations increasing by $4.1 million for the quarter and 5% for the year overall. Excluding the non recurring after-tax gain of $5.8 million realized last year on the sale of our LME and Kansas City Board of Trade shares, the net income from continuing operations increased by 53% on an annual basis. The firm saw a decline in its core commodities trading business as the summer slowdown impacted the sector. In its Physical Commodities business figures dropped by 23%. The firm saw a similar setback in its Clearing and Execution Services, which showed a six percent decline. The firm is listed on US trading venue NASDAQ and is recognised as a Fortune 500 organisation. The stock closed trading at $17.75.